Big Decisions can be overwhelming and abstract. 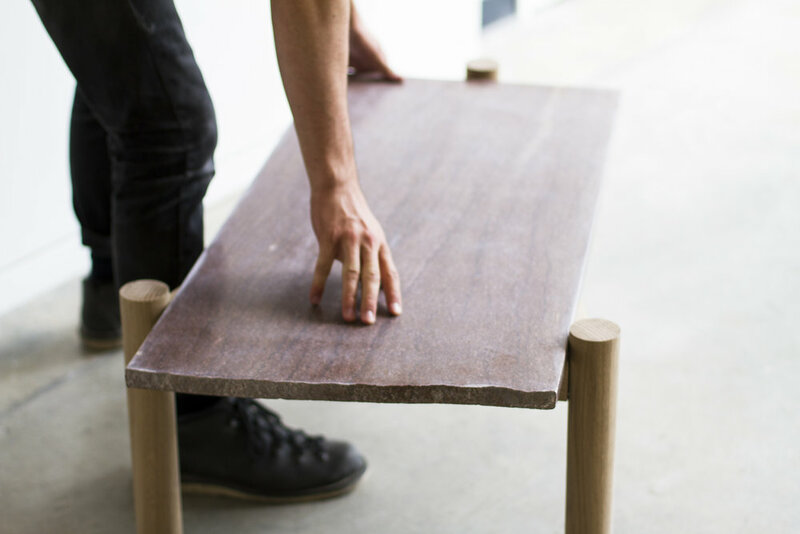 The Decision Making Slab is a speculative object that aims to make things more sensical. Resting on a three-legged base, a 65 pound slab of Tennessee marble represents the immense 'weight' a large decision places on one's life. Then, on half-sheets of paper, one lists a single rationale for action per slip of paper. This represents the 'support' for a particular decision. Write until rationale is exhausted. When all rationale for a given decision is exhausted the slab will look something like this. When making a momentous decision, one flips the slab over to find 55 5/8" holes drilled halfway through the thickness of marble. 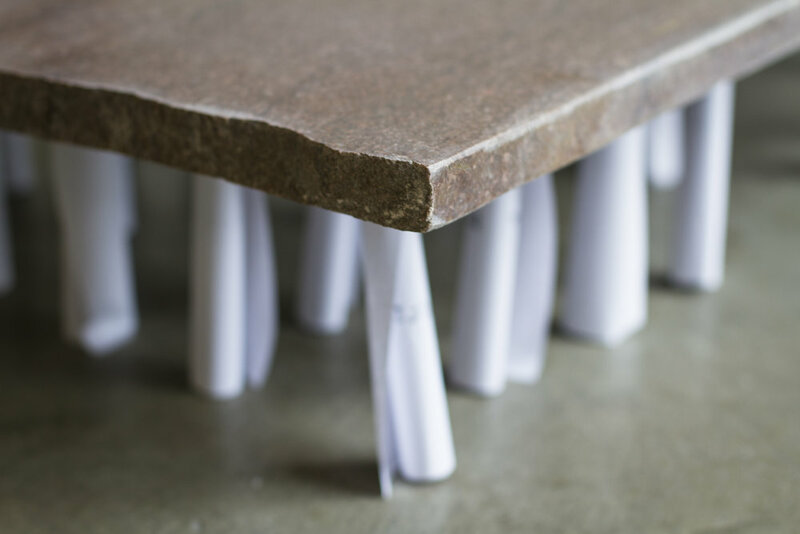 When rationale is exhausted, one rolls each sheet and places them into the holes in the marble. Placement is at the behest of the decision maker. Then, to determine whether or not a decision is a justifiable one, one flips the slab over, rests it on the rolled paper, and sees if their rationale literally holds the weight.